A tumultuous election season came to a close last week with the election of Donald Trump as the next President and Republicans maintaining majorities in both the House and the Senate. 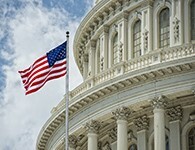 While Republican control of the Executive and Legislative branches could bring some sweeping changes to the political landscape in Washington, DC, it could also provide some important opportunities to advance key NACWA advocacy priorities – with infrastructure investment likely to top the list. During his election night acceptance speech, President-elect Trump referred to the need for investment in the nation’s infrastructure; it was the only major policy initiative mentioned at the time This follows multiple commitments Mr. Trump has made on the campaign trail about the need for a “new national infrastructure program,” and is in line with a letter NACWA sent to the Trump campaign in August declaring the importance of water infrastructure investments. Although the specifics of such a program are still unclear, infrastructure is generally seen as a bipartisan issue that Trump could work on with both Republicans and Democrats early in his administration. NACWA will work aggressively in the coming weeks to meet with both the Trump transition team and members of Congress to ensure that any infrastructure program includes a significant focus on clean water. Myron Ebell, a director at the Competitive Enterprise Institute, and head of the Trump EPA transition team, will reportedly be at EPA this week, along with other members of the team, to begin the transition process. NACWA will reach out to Ebell and his staff to discuss the Association’s priorities and ensure issues like affordability and integrated planning stay at the forefront of the new EPA water agenda. NACWA is particularly concerned with how the Administration will address climate/resiliency issues as well as ensuring support for the tax-exempt status of municipal bonds. NACWA will also continue its outreach to both parties in Congress during the transition period to advance Association priorities around affordability, funding, integrated planning, and a smarter approach to wet weather regulations. Despite both chambers being under Republican control, Democrats will continue to have a sizable presence in the Senate that will necessitate compromise on key environmental issues. Regardless of the election outcome, water will continue to be an issue that can garner broad bipartisan support. NACWA looks forward to working with the new Trump Administration, with existing and new staff at EPA, and with Congressional members of both parties to support initiatives that are in the best interest of our member utilities. 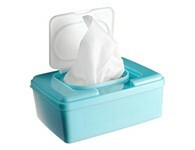 The Council of the District of Columbia is considering the Nonwoven Disposable Products Act of 2016 legislation which would require wipes labeled “flushable” to meet flushability requirements, and non-flushable wipes to be clearly labeled with “Do not flush.” The Council’s Committee on Transportation & the Environment, chaired by Councilmember Mary Cheh, approved the draft legislation on November 7, 2016. The current draft of the legislation uses the same principles for a flushability standard that are outlined in the international water industry position statement on wipes, which has been endorsed by NACWA and many of its member agencies. In October 24 testimony, NACWA recommended this approach, as did DC Water. The legislation will next be considered by the full Council. NACWA has continued to advocate for Congress to finalize the Water Resources Development Act of 2016 (WRDA) this year, and with the election now over and Congress returning this week for a lame duck session, the legislative path forward is becoming more clear. NACWA hosted a call last week with other water, local government and infrastructure organizations to discuss continued advocacy and how WRDA may fit into the lame duck session. 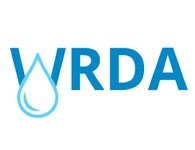 We are continuing our approach of working closely with member agencies and key Congressional offices to encourage WRDA passage and inclusion of key clean water provisions, and do not yet see changes in the odds of package as a result of last week’s elections. We will get a better sense of Congress’s agenda for the lame duck session in the coming days. In the meantime, we continue to urge all NACWA members to reach out to their Congressional representatives. EPA Regions 9 and 3 have denied the 2015 petitions filed by the Natural Resources Defense Council (NRDC), American Rivers, the Clean Air Council, and local Waterkeeper groups. The petitions demanded that EPA exercise its residual designation authority (RDA) to permit private commercial, industrial, and institutional (CII) sites whose unpermitted stormwater discharges are contributing to violations of water quality standards in the Dominguez Channel and Los Cerritos watersheds in Los Angeles, and the Back River and Amy Creek Watersheds in the mid-Atlantic. In their response, officials of EPA Region 9 referenced existing programs, such as the current National Pollutant Discharge Elimination System (NPDES) MS4 permits in Los Angeles County and the City of Long Beach, that advance efforts to curb stormwater discharges. The response also concedes that separate permits for the Ports of Long Beach and Los Angeles may be necessary. Officials of EPA Region 3 specifically pointed to the Chesapeake Bay total maximum daily load (TMDL) in their justification for denying the petitions filed concurrently in Delaware and Maryland. EPA’s response noted there are already programs in place that address the majority of CII stormwater discharges. While the response to these denials from the petitioners is not yet clear, these petitions are indicative of the multiple approaches being taken by stakeholder groups to address urban stormwater runoff. Litigation over the petitions denials is possible. NACWA will continue to track developments carefully and keep the membership updated on developments. NACWA welcomed a delegation from SIAAP—a publicly-owned clean water and wastewater utility servicing nine million customers in Paris, France—last week to exchange insight and information, as well as build mutually beneficial industry relationships. As part of a tour to learn from “mega-cities” across the globe, SIAAP leaders visited Washington, DC to meet with George Hawkins, NACWA Board Member and CEO/General Manager of DC Water and separately with NACWA staff at our headquarters to gain a national perspective on the issues facing clean water utilities in the United States. Focused specifically on addressing climate change and emerging contaminant issues, SIAAP took special interest in the Water Resources Utility of the Future (UOTF) program, as SIAAP strives to meet the ambitious goal of making the famous Seine River swimmable. The Paris utility leaders shared how they are facing many of the same challenges that face utility operators across the U.S., including: how to encourage water conservation without impacting utility revenues, providing high levels of service while keeping rates affordable, and managing urban stormwater with no dedicated funding source. For many years, French water and wastewater systems have been operated by the private sector, but SIAAP is now approaching 100% government operation, with only one treatment plant being contract-operated. SIAAP graciously hosted a number of NACWA members last year attending an international water conference focused on climate issues in Paris, and NACWA was pleased to return the favor during SIAAP’s recent trip to the U.S. NACWA is always interested in opportunities to build relationships with international partners to advance common solutions to municipal clean water challenges. NACWA joined other environmental and government advocacy organizations on November 9 to discuss key water issues as part of the EPA’s regular series of Intergovernmental Meetings. Central to the discussion was EPA’s ongoing efforts to revise drinking water regulations in the wake of the crisis in Flint, MI, an overview of the Agency’s recently released long-term stormwater planning guide, and EPA’s new environmental justice strategic plan. NACWA staff have been actively engaged with EPA on the stormwater planning document and on environmental justice issues, and will continue discussions with EPA on these topics during the presidential transition process. In the wake of last week’s election, NACWA provided a federal update and outlook at the Water Environment Association of Texas (WEAT) Horizon Conference legislative meeting in Austin. The audience was interested not only in the possible impact of the election on the water sector, but also the significant regulatory activity which should be expected between now and the end of the year. NACWA also highlighted the potential of the House and Senate to successfully negotiate the Water Resources Development Act of 2016 (see related story) before the end of the year and the need to establish 2017 funding levels before current government funding expires on December 9. The NACWA Energy Workgroup will conduct a web meeting on Thursday, December 1, at 2:00-3:00 pm Eastern. Lauren Fillmore from the Water Environment & Reuse Foundation (WE&RF) will be presenting recent work done by WE&RF on barriers and incentives for publicly owned treatment works (POTWs) to generate energy, with a focus on the difficulties that arise from electric utility rate structures for POTWs and the opportunities available for the use of biogas as a renewable natural gas. The Workgroup will discuss how NACWA can address these and other energy-related issues in its advocacy work. Tony and Sarah will play key roles in advancing and modernizing NACWA’s overall communications and marketing platforms – so keep an eye out for a new look and feel! Please join us in welcoming them to the team! As Fall weather starts reducing temperatures around the country, NACWA’s EngageTM discussions are heating up! NACWA’s signature online platform allows utility members to interact directly with other utility peers to discuss challenges and offer advice on a wide range of topics. Trending this week is a diverse set of topics ranging from public outreach during tunnel blasting operations, to cloud-based Environmental Management Systems. If you have any experience with these topics, or have a question of your own, log on and get engaged today!